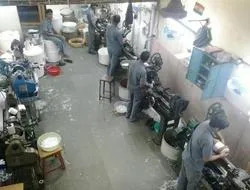 Since our inception in the year 2002, we, Shashi Fluoroplastiks, are one of the reputed names that are engaged in manufacturing, trading and exporting a wide range of Pump and PTFE Products. Our offered range of products incorporates PTFE Rod, Extrusion PTFE Rod and PTFE Sleeve. The offered range of products is manufactured using high grade PTFE, which is obtained from the certified vendors. These products are manufactured by the experts adhering to the international quality standards. Our range is widely demanded in the construction, engineering and allied industries. These products are known for their wear and tear resistance, easy installation and durability. Our organization is supported by a state of the art infrastructure facility, which aids us in performing all operations in a streamlined manner. We have several divisions in our infra that help us in smooth execution of all processes. To handle the responsibilities of these departments, we have appointed a team of experienced professionals. Our professionals are well-versed in this domain and help us in offering best quality products. Owing to the hard-work of our professionals, we have garnered a vast clientele all across Africa, USA and Gulf Countries. Under the valuable guidance of our mentor, Mr. Promod Gupta, we have gained a reputed stature in this domain. His experience of this domain aids us in gaining an edge over other industry counterparts. We are mainly concerned in providing standard quality products and committed to maintain their quality. Our products undergo stringent quality tests on several parameters before they are bought into the market and sold to the customers. We manufacture our products as per industrial standards. Our quality controlling unit is equipped with standard quality testing tools and efficient quality controllers. 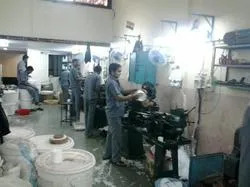 We have a state of the art infrastructure, which is equipped with latest machines and comprises of a production, quality testing, warehousing, and an administrative unit. These units are spacious and help in enhancing the production capacity and meet the bulk requirements of our valuable customers. Client Satisfaction is one of our prime objectives and to achieve this, we work hard to meet our client’s requirements. We cater to the needs of our customers across the globe through continuance endeavor and innovation. Our products are priced competitively and are manufactured as per client’s requirements. We are offering wide range machined products as drawing or sample. Our basic goal is to achieve and maintain perfection in offering our services through use of advanced technology, cost effective operations and our efficient teamwork. We ensure maximum customer satisfaction at all times through consistent improvement with effectiveness of quality management system. We have experienced technical advisers, who help us in providing ease in manufacturing and exporting our products. Our products are easy to transport and have a high level of workability.